(October 2006) MAURICE BACON re-joins Love Affair! PHILIP GOODHAND-TAIT - new album due out next year! Maurice Bacon is recording tracks for Philip Goodhand Tait's new LP which is planned for next year. Sadly John Cokell, co-manager of the Love Affair, passed away last month. John was Decca Records' marketing director in 1967 when Sid Bacon asked him to join his management team. 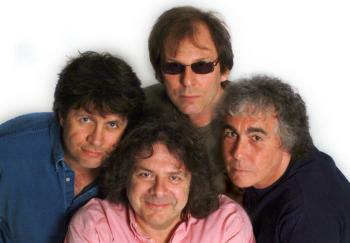 Cokell eventually left Decca to oversee the band's day-to-day affairs and worked with the band until Steve Ellis left in 1970, when he became Ellis' manager. John spent 27 years in the music business before he retired to Cornwall. A Memorial Service for John was held on 15 May 2006 and Philip Goodhand-Tait sent this report (printed with permission): "I went to the Memorial Service yesterday. Your flowers had arrived. There were many bunches of flowers laid alongside the path to the church and the Love Affair's bouquet was near the church so everyone could read your message. Thank you for sending "Everlasting love". They told John's life story at the church in Fowey and of course the Love Affair got honourable mentions. He made a lot of new friends there, had two more daughters with Cathy, and enjoyed sailing his boat. The "celebration of John's life" ended with the Love Affair's "Bringing on back the good times." The following rare Love Affair tracks can now be downloaded from iTunes: Back Into Your Life Again / Woman Woman / Sweetness and Tenderness / Do You Dream / She Smiled Sweetly / Satisfaction Guaranteed / It's A Love Affair. Albums by 'Igginbottom, Morgan, Morgan Fisher and Tim Staffell are also available. (March 2006) LOVE AFFAIR 1972/1973 biography updated! MORGAN FISHER - "Neverless" - new CD out now! 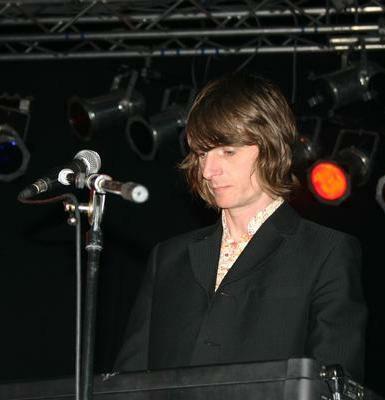 Dave Dulake became a permanent Love Affair member in 2007.